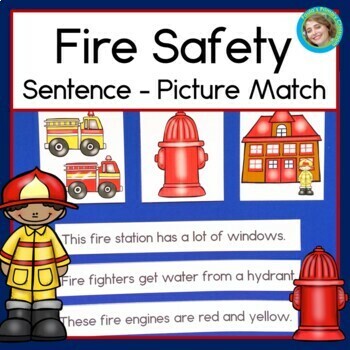 Fire Safety Sentence Picture Match has everything you need for a literacy center: 18 sentences and pictures for your students to match, 2 vocabulary posters, thematic writing paper (with lines in 3 primary sizes! ), and 4 follow up worksheets are included. 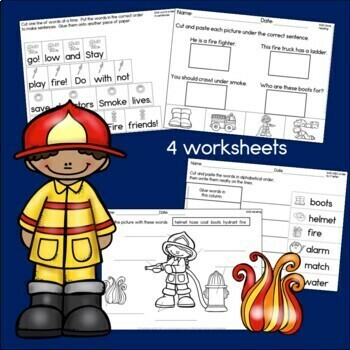 Students will practice close reading, abc order to the first letter, word order in sentences and labeling, while also internalizing fire safety tips! Catching Bugs Sentence Picture Match. 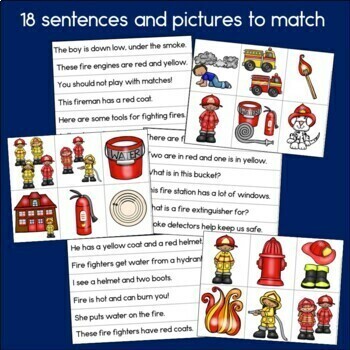 Fire Safety Sentence Picture Match is also included in my Sentence Picture Match Bundle #1, along with 19 other titles. 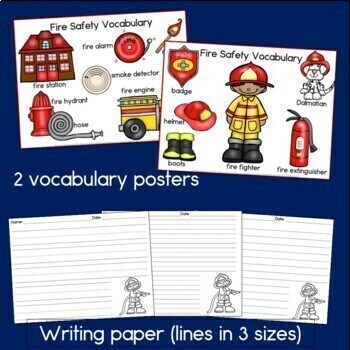 You can get enough literacy centers for a whole semester, and save 20% by buying the bundle!